DIMONT is the largest provider of specialty insurance and loan administration services to the residential and commercial mortgage industries in the United States. DIMONT partnered with SomaComm to deliver a new way to interact with clients, while offering an interactive and informative platform for client's employees. SomaComm developed "Name that Claim", an online game show specifically for the insurance claims business. 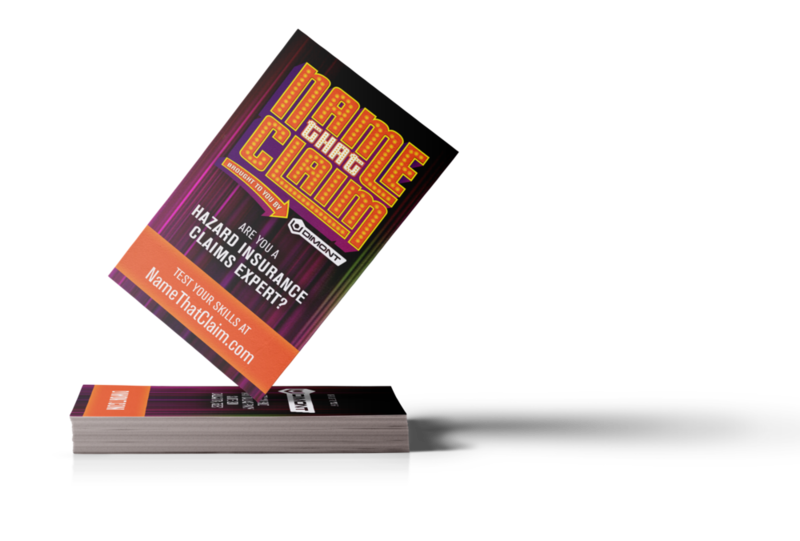 We designed and developed the brand identity and website, www.NameThatClaim.com, complete with show host, and a backed platform to deliver a certificate of accomplishment to client's employees, based on their ability to correctly answer insurance claims questions.